Singer Neha Kakkar has been giving Bollywood some of its most memorable songs. Year 2018 belonged to the Dilbar singer. However, she has been in the news for the past couple of months because of her relationship. 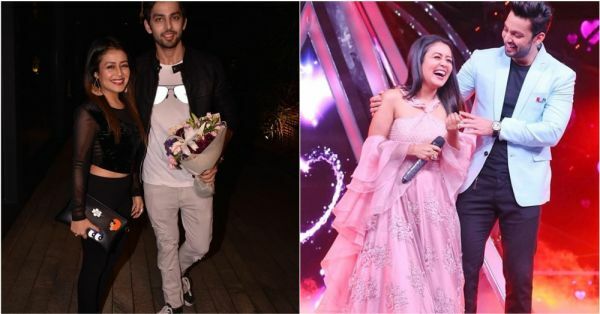 The singer and actor Himansh Kohli confessed feelings for each other on the sets of Indian Idol 10. However, they part ways for reasons best known to them. Neha was in a bad space since then and she even had an emotional meltdown on the sets of Indian Idol. Recently, Neha Kakkar broke silence about her much talked about breakup with ex-boyfriend Himansh Kohli. In a conversation with a leading daily, she confessed, "Right now, all I can say is that being single is the best feeling of my life. You know what, when I was in a relationship, I was not being able to give time to my family and my friends. At that time, I dedicated all my time and energy to that person who does not deserve it. And guess what; in spite of giving him so much time; he always complained of not being together." She further added, "Thankfully, I have moved on from this bad relationship. I am really in a happy space now. I have realised that my family is more deserving than anybody else in my life. I am happy with whatever happened because that made me realise the importance of my family members. With this bad experience, I am not open to love again. As I said, I am happy to be single!" We're happy that she has moved out of that toxic relationship and successfully moved on. Here's a list of some more celebs who spoke about their breakup and heartbreak. Read on! We all know how devastated Deepika was after her breakup with Ranbir Kapoor. She bared it all in an interview with a leading magazine and said, "I was foolish enough to give him a second chance because he begged and pleaded, despite the fact that everyone around me said he was still straying. Then I actually caught him red-handed. It took me a while to get out. But having done that, nothing can make me go back. That ship has sailed. It made me realise I should not be so attached to one thing or a person - after the break-up the fact that I had to pick myself up. I cried a lot after my break-up. But I have become a better person and I thank him for that." Shahid Kapoor and Kareena Kapoor Khan dated for a decade and then part ways. Talking about the breakup, Shahid said, "Yes, it was a very trying period for me for almost a month, and it was very clearly a question for me of choosing between my personal feelings and my profession. I had two choices, one was to come back and not talk at all, not go out in the press and not interact with the media, which would save me the pain of answering questions I am uncomfortable about, or go out there and promote my film which was releasing in three weeks. I chose to do the latter because I think it was important for me as a hero to be there for my film and I had great faith in the film. So, yes it was difficult and uncomfortable but I accepted that as a part of the way things work out here." Now married to Karan Singh Grover, Bipasha Basu was earlier in a steady decade-long relationship with John Abraham. Just when people thought they'd get married, they called it quits. In an interaction with a leading daily, Bipasha said, "Though no break-up is a good break-up, time heals everything, including broken friendships... But cheating, infidelity and deceit are generally tough to forgive, and in those cases, real friendship is not possible." Shilpa Shetty lashed out at ex-boyfriend Akshay Kumar and said, "Akshay Kumar used me and conveniently dropped me after he found someone else. The only person, I was upset with, was him. But I'm sure he'll get it all back. It's not easy to forget the past so soon, but I'm glad I've had the strength to move on. Today, he's a forgotten chapter as far as I'm concerned. I will never work with him again. Professionally, things have never looked better." Ankita Lokhande and Sushant Singh Rajput made one of the greatest couples in telly world. However, their relationship couldn't stand the test of time. 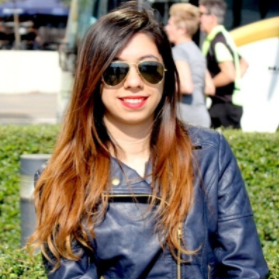 Post-breakup, Ankita spoke about how hurt she was and said, "I have learnt to love myself. I had forgotten to do that. Loving yourself helps because if you don’t respect your own feelings, how do you expect others to do that? Also, earlier, I didn’t know how to balance things. Today, I know how to do that."